A bit of happy dancing is in order. 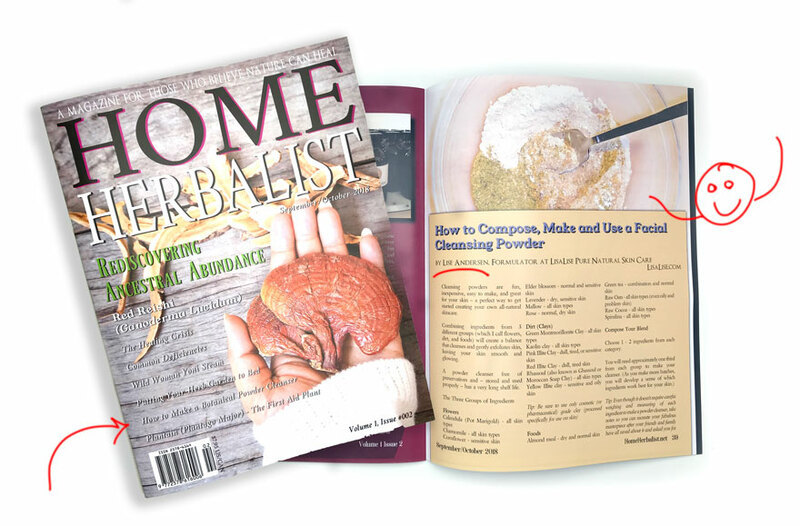 This issue of the Home Herbalist magazine features an article entitled: How to Compose, Make and Use a Facial Cleansing Powder. OK, I knew you wouldn't need much prompting. The Home Herbalist is published by lovely lady named Sara who is as smitten with the power of botanicals as I am. 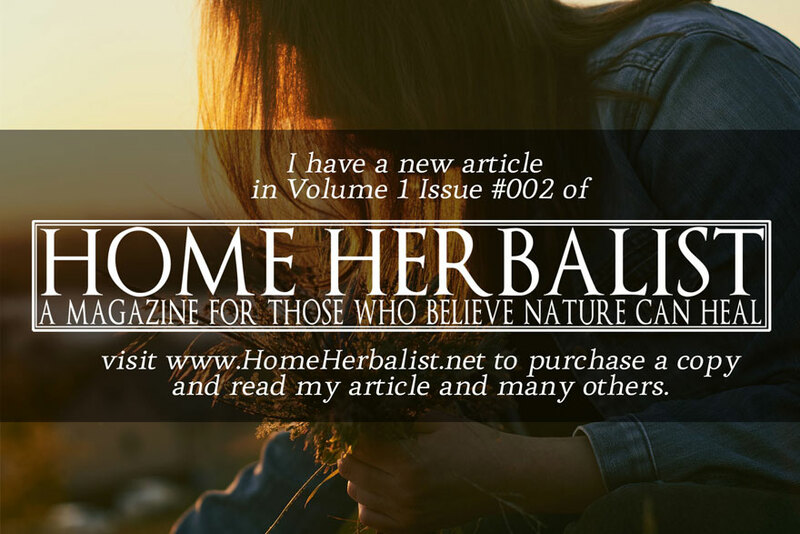 While my focus on the topical use of herbs and plants, The Home Herbalist magazine is more all encompassing and examines all uses. You can purchase single issues and subscribe in digital or print format if you visit the site. For direct access to the current issue with my article, click the pic below. Lisa this is awesome and you deserve the recognition! Congratulations! Lisa this is awesome and you deserve the recognition. Congratulations!